Multiple award winning artiste Bisa Kdei is set to release a new joint with another Nigerian top artiste. After a successful collaboration with the No Kissing hit maker Patoranking titled LIFE, Bisa Kdei teams up with Supreme Mavin Dynasty's label act, Reekado Banks. This new collaboration which features Reekado Banks is titled Feeling, and it's off Bisa Kdei's upcoming 3rd studio album called KONNECT. The album (KONNECT) is aimed at connecting High Life music to the world, and will feature musicians all across Africa. Feeling, as the title explains is an emotional love song, which has both artistes talking about the sweetness of how "true love" with the right one feels. His management, Black Legendary Music tells us that, Feeling by Bisa Kdei featuring Reekado Banks will be made available to the public on the 19th of this month. 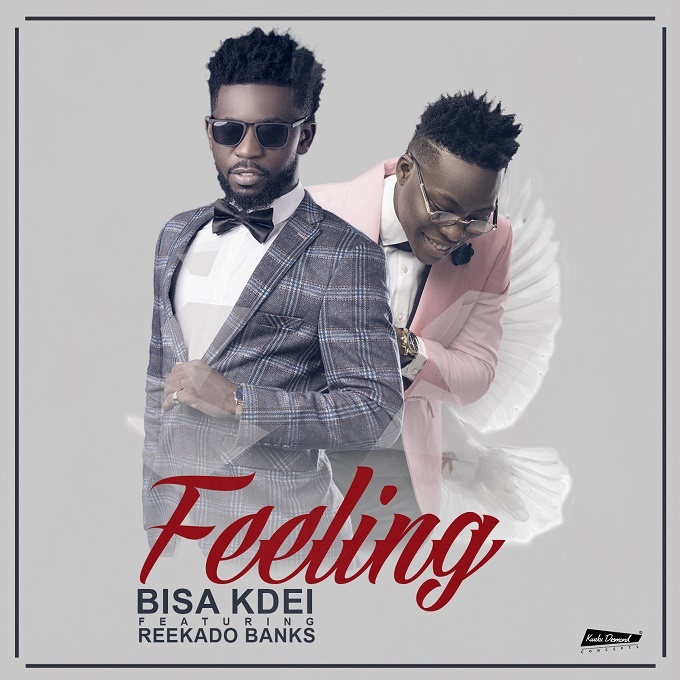 The cover art for the song (FEELING) has been unveiled and we have no doubt this collaboration between Bisa Kdei and Reekado Banks will be the lovers anthem.